We are beyond excited to share with you the cover for Joanne’ s new book, due out in August 2019! If you want to be notified the minute that it comes out, you can sign up here and receive a 10% discount from Handspring Publishing. 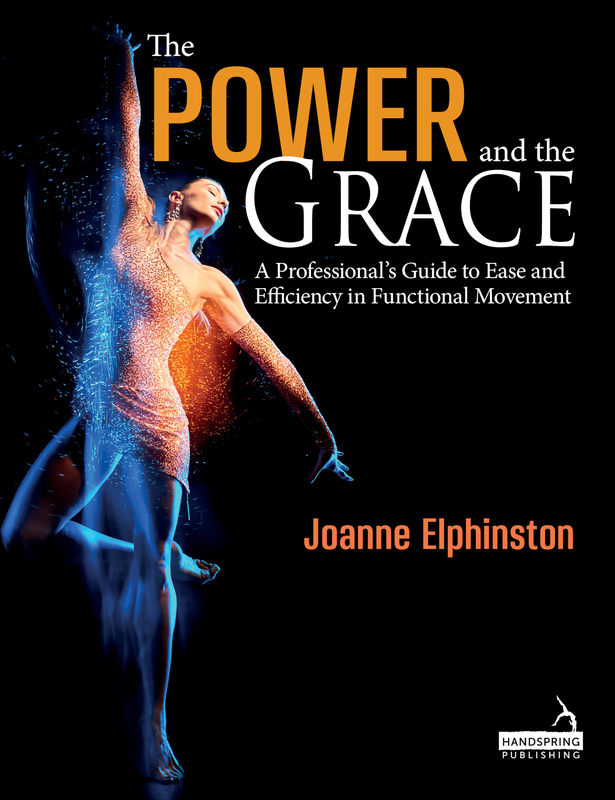 Joanne has written “The Power and the Grace: the Professional’s Guide to Ease and Efficiency in Functional Movement” for those holistically minded movement professionals who want to learn the art and science of movement teaching, blending physics and fascia, brain and body in a way that is functionally relevant, simple to understand and easy to integrate into practice. As always, Joanne has written this to be an inclusive resource for professionals across the health fitness and wellbeing spectrum, synthesising the complexity into clear, simple language that can be immediately used with patients and clients. Find the colour in your language, learn the difference between talking to the the brain or to the mind, and discover how to communicate the intention and sense of a movement with ease. Whether you are a Pilates or yoga teacher, a physiotherapist or a trainer, if you want to understand the fundamental foundations for functionality and translate your work into meaningful real life application, there will be something that you will love in this book. I have already placed my order. It will I am sure make a great companion for my well thumbed and bookmarked Stability, Sport and Performance Movement which I use all the time. I was thrilled to see that there is a new course [for health, fitness and well being professionals] about to be released and I look forward to being further inspired and motivated by the JEMS® magic.